At the Quality Hotel Sarpsborg, we really want adults and children to have an experience they'll cherish for life. We are the ultimate kids' hotel with Superland, as well as a conference hotel with a focus on activities and experiences. 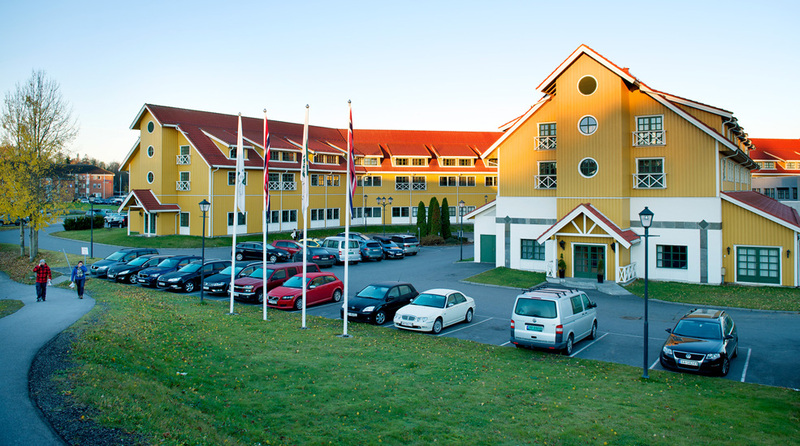 The Quality Hotel Sarpsborg is located in Sarpsborg, just 50 minutes by car from Oslo. You can find out more about Sarpsborg here. The Quality Hotel Sarpsborg is cash-free, which ensures added security for our guests and visitors. More information about this can be found under FAQs. We are proud to be a kids' hotel and do our best to ensure that children have a great experience here with us! During weekends and weekdays in school holidays (local school holidays), it's the children who take centre stage from breakfast until bedtime. Our mascot Piccolo, the house mouse, is every child's fun-loving friend, and comes to say hello at breakfast-time and then again for more fun and games in the evening. We have children's menus for both breakfast and dinner. It's important to keep your energy levels up, so you can get maximum enjoyment out of active days spent at Superland and Badeland! Superland here at Quality Hotel Sarpsborg is an activity centre for all ages, where you don't need good weather to have fun. We have mini-golf, ball pit and maze, to name but a few of our activities. Superland is also where the 2,000 sqm Badeland water park is located, with its many pools, water slides, jacuzzis, rapids and various water activities for both adults and children. Admission to Superland and Badeland is purchased in addition to your hotel accommodation. Our hotel has a conference area with flexible rooms and modern technology. Our rooms are large or small, simple or exclusive. Whether it's a traditional gathering or an innovative, creative meeting you want to have, it's all possible here with us. We have advanced technology, we're highly competent and we have a committed team. Having a conference that leaves you with memorable experiences is our priority. Our restaurant serves all the meals at our hotel. It's also possible to rent the meeting facilities for your own private event. Our restaurant is split into various rooms of different sizes, and offers opportunities for all occasions. A science centre all about knowledge – here you can play your way to wisdom! INSPIRIA Science Center is our next-door neighbour and the newly opened INSPIRIA Science Café serves "Food from the Heart". Maybe it sounds easy to say we're the most enjoyable hotel in Norway – but we work hard to live up to that. Our aim is that, whether you want to play all weekend long with your family, or are planning the best conference or party ever, you'll want to do it here. We want you to have the time of your life! Take the train to Sarpsborg. From the centre it's five minutes by taxi or bus to our hotel. Quality Hotel Sarpsborg bus stop is just outside our hotel. Buses go from both Oslo and Sarpsborg centre to this bus stop. It takes about five minutes by taxi from Sarpsborg centre. Order a taxi at Taxisentralen, telephone +47 02600. The closest bus stop is located right outside our hotel.